Very nice! Any idea how many have lance and how many have hand weapons? 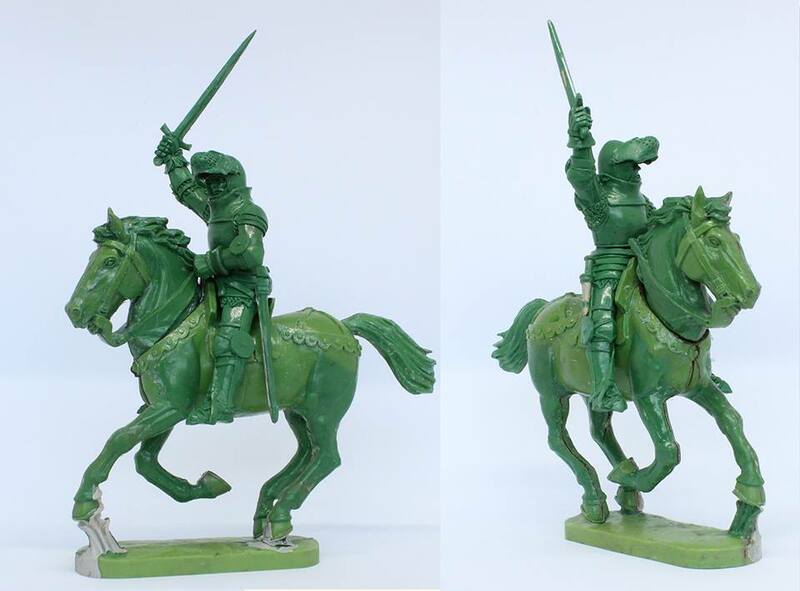 No idea on lances on the sprue, but the WotR mounted men at arms have 100% split – by which I mean all figures could be either with lance or all with hand weapon. From quick chat with Michael at Salute, I got impression that that frame will be the guideline for these (with some exceptions I'm sure). Hello, I've only just started work on the frame, so I'll see how much I can get on. I'm going to make sure there's a good diversity of bodies and arms. Most bodies will be split although one or two may not. I'll aim for a lance option per rider which I'm sure will fit in the frame with all the other stuff I'm going to add. Gaah, and here I am just had several of those in metals! At least they're caparison-less also, or I'd be nut-kicking myself. According to the recent Perry newsletter, sent a few days ago, they may try to provide some optional glue-on barding/caparison parts in the rider sprue. I also greatly appreciate you including 60X45mm bases as these are ideal for A Game of Knights & Knaves (and other DBX based games). I'm sure I won't stop at one box. As I'll have to have historical versions for the HYW, Fantistorical versions for A Song of Ice and Fire and fantasy versions for Miles Cameron's Red Knight series. I can't thank your company enough for producing an independent line of figures which can support the work of independent game companies such as Fame & Glory. 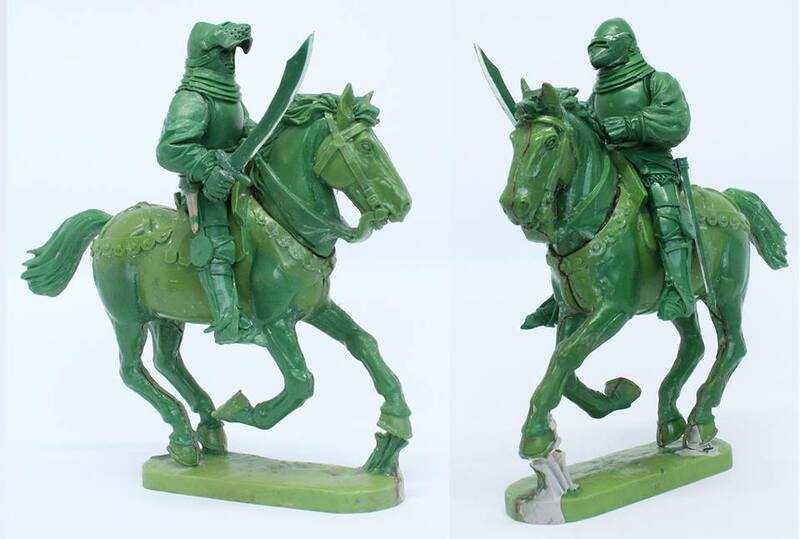 I will continue to recommend your fine line line of medieval/WOR figures to our players and look forward to this latest edition. Yippee! a lance for every rider! Apparently Alan seems to have been labouring hard with the sculpts for these since Salute, since they have apparently been sent to Renedra this month. Assuming the usual six months for tooling, production, packacing etc. we can probably look forward to release in early 2019. According to description, there is going to be plenty of options in the set, including mail barding and possibility to build some of the riders as light/medium horsemen rather than as knights/MAA in full plate. Pictures of various 3-ups can be found at Perry Facebook page (for some reason they seem not to be updating the plastic workbench section of their homepage these days). Saw the Perry brothers at Historicon and they confirmed sculpts had been sent to Renedra and were in the pipeline. Looking forward to getting these on the table top. 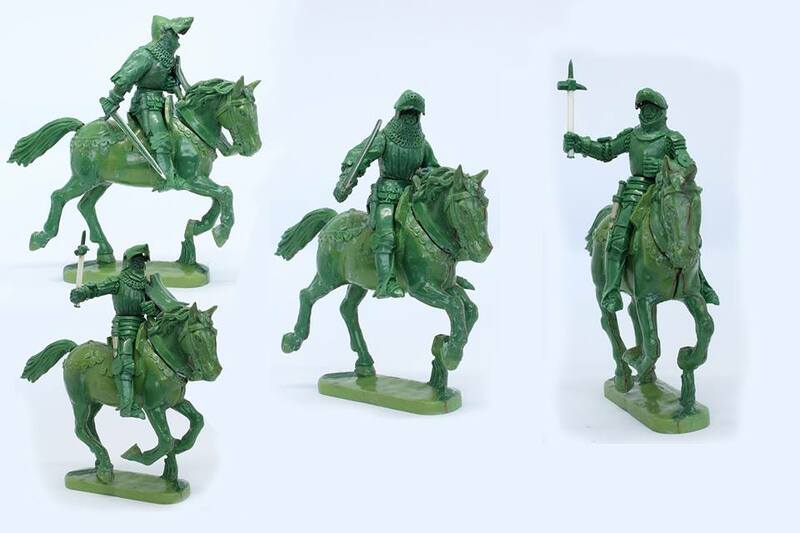 The brothers are nice enough to include standard 60mmX45mm bases – perfect for Knights & Knaves (and most other DBX based games). Hope to have some charging across the board at the next Historicon. Very nice indeed, but as with the metals, no sign of cloth barding. Lets face it if you want HYW knights, you want a colourful heraldic display! very nice! Be starting my wars of the Breton succession very soon! Very nice Also illustrates how unprotected the horses were, under an arrow storm. So the arrows would glance off the knights´armour, but madden the horses. Maybe thats why the MAA ended up attacking , slowly, on foot. And now actually available – I think I will be ordering two or three boxes pretty soon. Based on the description from Perrys and the sprue shots, the set apparently comes with 12 horse, 18 legs and 36 torsos. 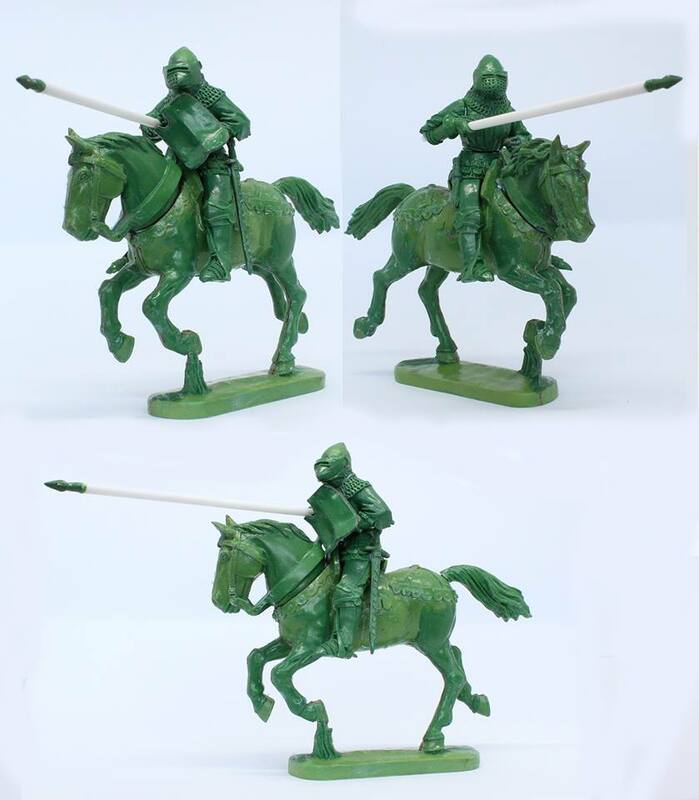 Extra legs can be put into use by getting extra horses, but I am wondering what to do with the extra torsos – they would be great for adding variety to foot knight units, but those do not come with separate legs so this would require a degree of surgery.